These delicious ground "meat" alternatives from Nutcase Vegan Meats let you create your favorite dishes in the healthiest way possible! Gluten-free, soy-free, and made with all organic ingredients, not only are these probably the healthiest vegan ground "meats" you'll ever try, they're so tasty, you'll never have a problem making your favorite dishes again! 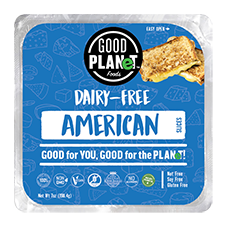 Packed with 910mg of Omega-3s per serving, you can make sausages, patties, or crumbles as needed to suit your recipes - these meat alterantives heat up in just a few minutes on the skillet, giving you convenience as well as awesome taste and plenty of nutrition to fuel your day. 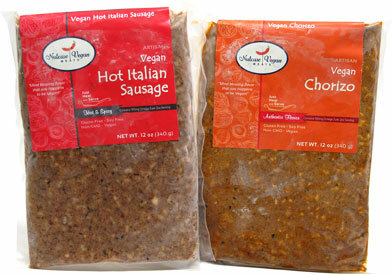 Nutcase Vegan Ground Meat Alternatives are available in 3 delicious varieties: Sweet Italian Sausage, Hot Italian Sausage, and Chorizo. 12 oz. (340g) packages are normally $11.99 each, now on sale for $9.99! From Monica of Grand Rapids, Michigan on 6/26/2017 . They both brown up nicely. I love that it is whole ingredients. Great to use in stuff peppers, meatballs, etc. Nothing out there is as nutritious as this. Amazing non vegans love it at our house as well. From jen of fishers, Indiana on 4/24/2017 . I liked the texture and seasoning and heat level of the chorizo version. It's a good product. From Anonymous of Eugene, Oregon on 10/29/2016 . The Nutcase products are super nutritious with well balanced flavor profiles. They sear up nicely in a pan with a touch of oil. Unlike wheat gluten or bean alternatives I really like the high percentage of organic walnuts and easily to digest whole grains. 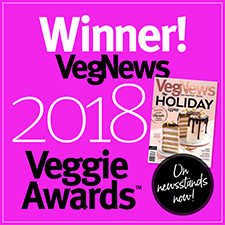 Thanks so much, we've been waiting for good taste in the meat alternative category.